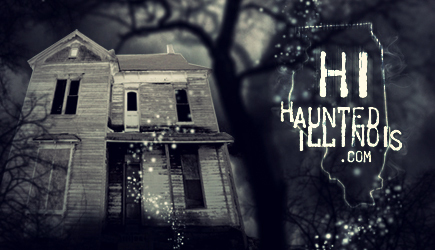 HauntedIllinois.com - Troy Taylor's review of the Ghosts of Galesburg, Illinois: Supernatural history of Knox College, Knox County Jail and the Surrounding Area. Galesburg has left its mark on Illinois history. Not only is it the birthplace of author Carl Sandburg, but it is also the home of George Ferris, the man who invented the "Ferris Wheel" for the Columbian Exposition in 1893. The city is also home to a number of ghosts! The Knox County Jail building is located just across the street from the university campus and was built in 1874 to house those incarcerated by the county. The building continued in this operation until 1976 when it was then turned into a private residence. The county sheriff's home had previously been inside the building, so it was easily adapted into living quarters. The cell block and the solitary confinement cells were left untouched until Knox College purchased the building a few years ago. It has since been turned into office space for the college and is used daily by staff members... some of whom report having some uncomfortable encounters in the building. Several of them admit to feeling uncomfortable while inside and even claim to have heard and seen things that they can't quite explain. One of these staff members is John Steller, who met us at the old jail on the evening of our visit. Shortly after the college took the building over, John was in the rear part of the building where the cell block is located. He was on the north side of the building and had climbed up to the second tier of cells. He had just passed the second cell from the right when he was overcome by a horrible sensation. "It was so strong, I just had to back out of there and get away from it," he said. A short time later, a reception was held in the building and one of the attendees was a former guard at the jail. John asked him, in conversation, if there had ever been any escapes from the jail. "Just one, " the retired guard told him, "and I can show you where." Had John encountered the lingering spirit of this luckless prisoner? Possibly... because other people have also complained about strange sensations, especially in the solitary confinement room known as the "hole". This narrow cell was located in the basement and anyone placed inside of it would have been cramped into a long, narrow room that was perhaps two feet wide.... and in total darkness! It is likely that the terror felt by the men placed in this cell has left an impression behind..... During our investigation, I climbed into the "hole" and was amazed to find that all of my equipment immediately went dead... something that had never happened to me before! Then, at another spot in the basement, my video camera failed... only to work again in a different part of the room. Could some of the prisoners of the old Knox County Jail still be waiting for their parole? The after-life story of Orval Cobb actually begins in 1943, but let's jump ahead a few years to when the Godsil's first moved into the house on December 31, 1964. The dwelling had previously been used as an apartment house, so with its many rooms, it was just right for the large family to move into. Shortly after they took up residence, they began to notice they were not in the house alone. The older children seemed to notice things first, planning to keep the ghostly activity a secret from their younger siblings. But before long, everyone had story to tell... even their father, who had been skeptical about anything strange going on for some time. One afternoon, while he was in the house alone, he went down to the basement to do some work. He heard the sound of someone walking through the house above his head and assuming one of the kids had come home, he went upstairs to look. He found that no one else was there. Thinking the sound must have just been the old house settling, he went back downstairs..... and that's when the footsteps started again! He searched the house again and found no one.... he was now a believer. The footsteps weren't the only thing the family noticed, but they were the most frequent. They describe them as "heavy" and they should know.... they have heard them tromping about all over the house on many occasions... through the hallway, into the rooms, up and down the stairs....everywhere! They also sensed the presence of someone standing inside the rooms on many occasions and had that feeling that someone might be just over their shoulder. The girls in the family also reported never feeling alone while taking a shower.... as if they had caught the interest of a healthy young man! The ghost also had the habit of knocking on doors and doing other things to get attention, like causing items to disappear and then putting them in strange places later on. Several members of the family have also caught glimpses of a shadowy figure around corners, in reflections, just past doorways and out of the corner of the eye. He has been frequently seen in a small parlor that is located just off the dining room. They started out by searching the old files of the library and the archives of the college, following one single lead.... someone told them that a Knox student had died at the house many years ago. The boy's name had been Orval Cobb and he had been a freshman at Knox College in 1943. He was from St. Charles, Illinois near Chicago and most remembered him as a bright, fun-loving youth who had been an honor student and well-liked by his classmates. When Orval came to Knox, he enrolled as an chemistry major and soon found that he was in over his head. His grades plunged and despair began to set in. He felt overwhelmed by his classes and some say he may have feared being drafted into the military too. Finally, on the eve of a big chemistry test, Orval committed suicide, leaving a poem and a long letter behind, detailing why he felt that he was a failure and why he felt that he had no reason to go on. Ironically, Orval stole a mixture of potassium cyanide from the chemistry lab with which to do the deed. He was found dead by a friend the next morning in the front upstairs room of the house, now used as a bedroom by the Godsil family. Shortly after arriving at the location, two investigators independently witnessed glowing lights on the edge of an open field near the woods. In the course of walking through the field, I was able to record one of the "lights" or objects with an IR video camera. I ended up with only seconds of very grainy and hard to identify footage, but it was enough to convince me that the location was worthy of continued investigations in the future. We'll keep you updated!